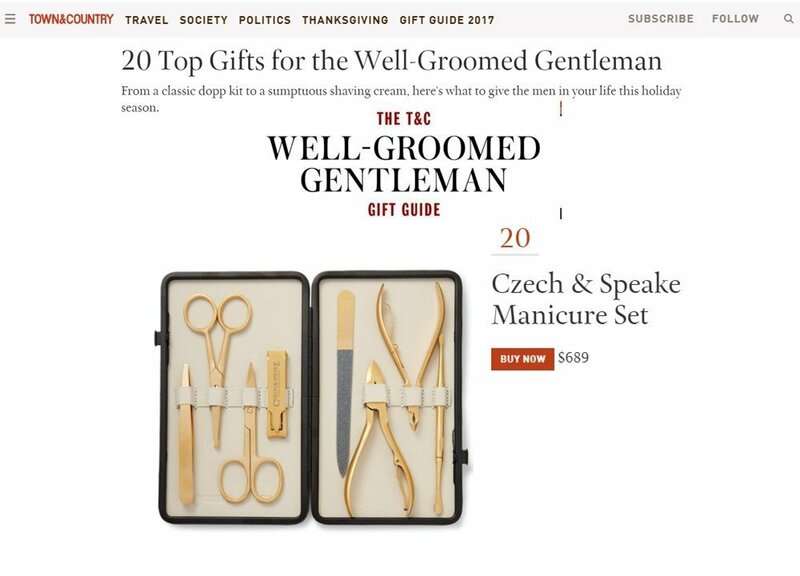 Town & Country US prepared for their readers the 20 Top Gifts for the Well-Groomed Gentleman. From a classic dopp kit to a sumptuous shaving cream, here’s what to give the men in your life this holiday season. Because every man deserves to feel pampered at least once in a while. They included the 24k Gold plated Manicure Set on the list, for the man who values the importance of well groomed hands.